From music producers to casual users, SNAP will help you create great drum patterns in any musical style, on the fly, with your fingertips. SNAP can also help you in the studio, by providing seamless variations of your patterns, under your complete interactive control. 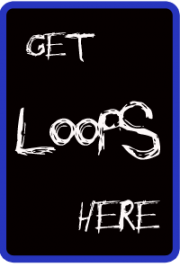 Program or load drum patterns, store your favorite variations, and export them to your DAW, all on a continuous and free-flowing loop/fashion. SNAP is also a powerful tool for your live sessions, providing you with subtle or radical changes, from sudden drops to ecstatic crescendos, all fully and instantaneously controllable under your fingertips. SNAP can communicate with your music apps, drum machines, DAWs and other musical equipment via MIDI OUT and Ableton Link. SNAP’s full integration with Native Instrument’s Maschine Jam, allows it to communicate bidirectionally to become its “drumming brain”. Compatibility with other control devices will be rolled-out progressively. – 8 drum voices, each one with its own continuous density controller. – 4 different intelligent syncopation/reinforcement algorithms, independently selectable for each drum voice. 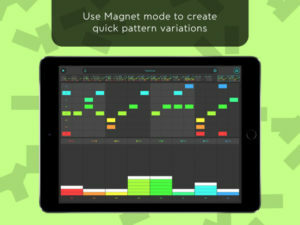 – MIDI IN and OUT integration (Available as an In-App purchase). – Ableton Link synchronization support. 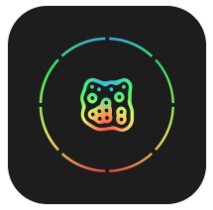 – 8 snapshot slots for storing, recalling and updating drum patterns on the fly. – Sessions and patterns covering different styles to get you started right away.